It's a Scrappy World: Scrappy Sketch Sunday and MORE! 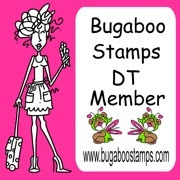 Today I have my Scrappy Sketch up on Bugaboo Stamps BUG BLOG! Be sure to check it out and play along! The rules for use are pretty loose, but be sure you read them over on the BUG BLOG! 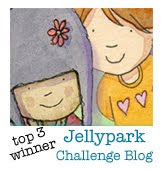 We also have the winners posted from last weeks challenge! 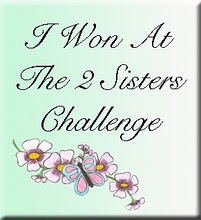 Go over to the BUG BLOG and see if you've won! 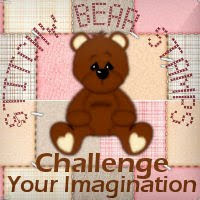 Pile it On has a new inspiration challenge starting today! I hope we will see you joining in the fun this week! 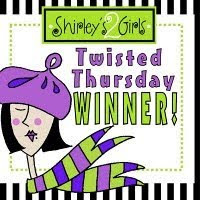 Thanks to everyone who played along with last weeks cute and cuddly theme challenge! I loved looking at all the BEAUTIFUL cards and projects! 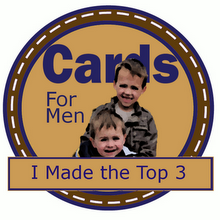 KAH -wink-E-dink still has their Masculine card challenge open! It is open until Tuesday and the new Challenge goes up on Wednesday! So that means you've still got time to play along. Head over HERE for more details right away! Don't forget to grab your FREEBIE Voodoo Doll before he's gone (or someone sticks pins in yours! ;p)! 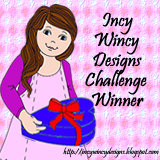 Shelly's Images has their AWESOME 'Anything Goes' themed challenge open still too! 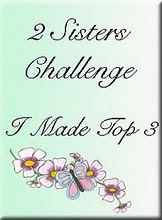 Head over there and put your gorgeous cards and fabulous projects into the running for the prize! You REALLY don't want to miss THIS ONE! 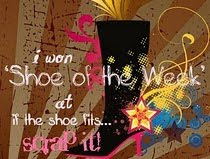 :) They also have a VERY exciting week planned for you so be sure you check in throughtout the week! 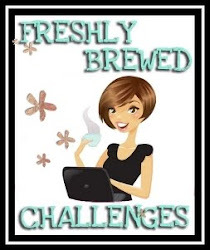 Crafty Ho's has a new challenge up today too! This one features a terrific sketch from my friend and fellow DT member, Michele! 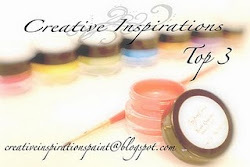 Head over to CRAFTY HO's to read all about it and to enter your cards and projects! 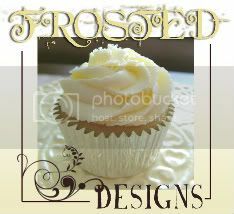 My sample, as well as the list of challenges I used to create it is below! Hope you like it! Again a beautifull card. Love the one red image. It's just a great card. 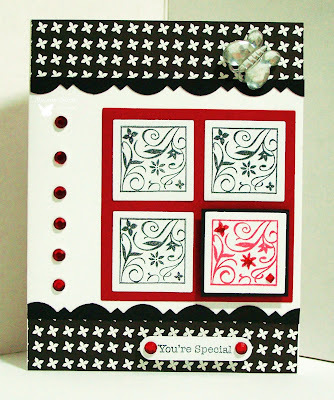 And how about that this card can be part of the new challenge at Cowgirls Up Stamping blog hop? 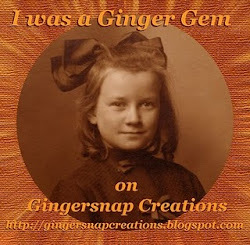 Just hop by my blog and see the wonderful candy you can win. Oh....another beautiful black and red design Scrappy. That has been a little bit of a theme lately and I love it!!!! What a great card love it! Wow Scrappy, I only left my puter for a couple of hours and you create a masterpiece like this! Stunning! Thanks for playing along at Cowgirl Sundays. I love the simplicity and the elegance of your sketch card Scrappy!!! The flowers in your garden. . .not so much. . .;) MWAH! beautiful, so elegant! Thanks for joining us at CSSC. Scrappy--very pretty card. I always love black, white, and red color combo. Beautiful flowers! Sorry about the heat and the AC. Lovely card, great color combo. Beautiful card. LOVE what you did! Thanks for joining us at Practical Scrappers this week. love what you did with the colors...these are some of my favorite colors as well....awesome job...thanks for joining us at CSSC....good luck..
very cute! love the red and black! So pretty! 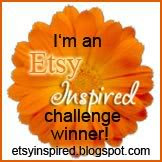 Thanks so much for playing along with us this week at La La Land Crafts! Very pretty! Thanks for playing along with us at La-La Land Crafts! So LOVELY!! 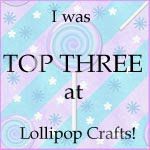 Thank you SO MUCH for playing along with us at La-La Land Crafts!! GREAT work on this Scrappy! LOVE the colors you chose and AWESOME work with the layout! 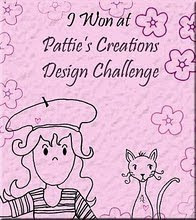 Gorgeous card, love the layout, thanks for joining in over at Cowgirl Sunday Stampen Challenge. 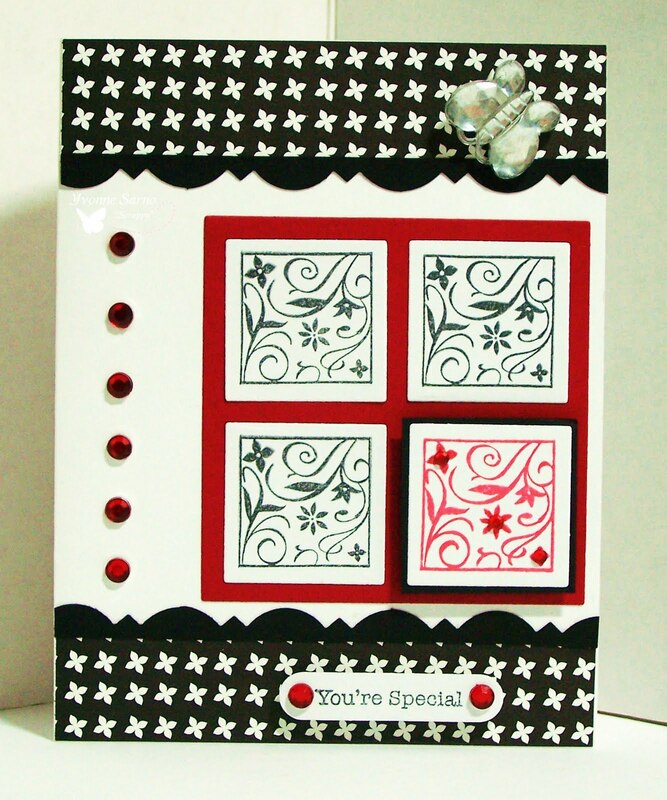 This is such a lovely classy design terrific layout - thanks for sharing with Cowgirl Sunday Stampen Challenge. What a stunner! Love the patterns and the swirlies! TFP with us at CowGirlUp! Your card is just lovely! I like the patch work effect! Gorgeous! 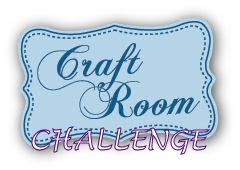 Thank you for joining us for this weeks challenge and Blog Hop at "Cowgirl's Sunday Stamp'en Challenge" I look forward to seeing future entries of your FABULOUS CRAFTY WORK in the future!